I realize this is a bit of old news. But I was watching CNBC this morning and saw a commercial for a Buick and in the commercial, the owner was in his office (who knows how far away), and he started his car for his daughter from his Android smartphone. 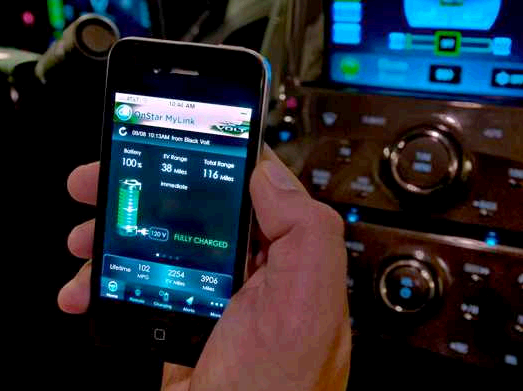 This was done using the OnStar MyLink app which is available via any Android or iOS (iPhone, iPad, iPod Touch) device and can be used on any 2011 GM vehicle.